CarGurus has 43,546 nationwide Compass listings starting at $2,000. 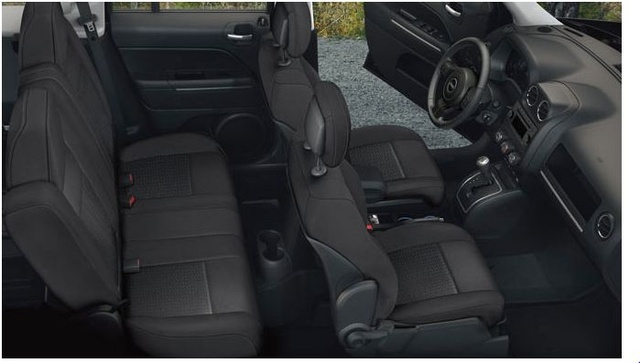 A low sticker price, an available off-road-oriented package, some decent ride comfort, and optional fold-down premium liftgate speakers all help Jeep’s 2012 Compass compact crossover find a comfortable niche. Tepid acceleration from both available 4-cylinder engine choices as well as poor mileage figures from the larger four-banger with the 4-wheel-drivetrain, not to mention cramped rear quarters and challenged rearward visibility, continue to keep the 2012 Compass mini-ute well behind the class leaders. Though Jeep’s 2012 Compass compact crossover could use a few more ponies and a few extra standard features, it still offers the budget-minded family plenty of utility and some hefty value. Those folks that own this little SUV find it a bit more praiseworthy than most reviewers, thus prospective tire-kickers might be wise to put a test-drive of this downsized ute somewhere on their to-do list. While it’s not up to more refined foreign competitors, the still-competent 2012 Jeep Compass does its job with typical Jeep efficiency, and it won’t break the old bank account, either. This 5-passenger compact crossover, even in its base edition, boasts a number of extras not found in most rivals, while a well-wrought cabin offers no-nonsense practicality combined with a welcoming atmosphere. Cargo capacity remains decent, but not exactly capacious at 62.7 cubic feet with the rear seats folded and 22.7 cubic feet to the upright rear seatbacks. But, and this is a biggie, seatbacks that actually fold completely flat, along with the standard fold-flat front passenger seat in the higher trims, each add immeasurably to the convenience and utility of hauling unwieldy loads. Bottom line: This little sport ute impresses owners a bit more than it does reviewers. Anyhow, this year’s Compass now comes in 3 distinct trims, the base Sport, the midlevel Latitude and the flagship Limited. Each trim is delivered in standard front-wheel-drive (FWD) configuration, but all are offered with available Freedom Drive I 4-wheel drive (4WD). The Sport and Latitude FWD variants come with a standard 2.0-liter inline 4-cylinder (I4) powerplant, while all 4WD trims, as well as the FWD version of the top-shelf Limited, are delivered with a standard 2.4-liter I4. This larger four-banger is, of course, optional in both the lower FWD trims as well. Finally, the 2012 Compass Sport, in either FWD or 4WD configuration, comes with a standard 5-speed manual transmission, but can be equipped with the continuously variable transmission (CVT) that comes standard in the higher trims. Looking like a miniaturized version of Jeep’s full-size Grand Cherokee sport ute and riding on the same car-like chassis as Dodge’s gone-with-the-tulips Caliber crossover, the 2012 Compass lineup gets a few tweaks to the performance of its CVT, though several reviewers still prefer the stick-shift transmission found standard in the base Sport trim to the more delicate CVT, despite some touted tweaks to its performance this year. If it’s moderate to heavy-duty off-road capability you’re looking for, Jeep’s own Wrangler would be a far better choice than the Compass, while Honda’s spiffy CR-V, Nissan’s capable Xterra, Kia’s surprisingly able Sportage and Subaru’s nifty Forester each offer better handling, power, performance and refinement than the Compass. Value-wise, however, Jeep’s smallish crossover more than holds up its end of the bargain. The variable-valve-timed (VVT) 2.0-liter I4 engine delivered standard in the Sport FWD and Latitude FWD trims mates in the Sport trim with a 5-speed manual transmission for 158 hp at 6,400 rpm and 141 lb-ft of torque at 5,000 rpm. The CVT, meantime, is standard in the Latitude, with the Sport gaining this revamped automatic transmission when the optional Quick Order Package 24A is selected, and, in any case, gives the same performance numbers. Towing is again maxed out at 2,000 pounds with the proper equipment, while mileage is estimated at 23 mpg city/28 highway with the manual and 23/27 with the CVT. Powering all the 4WD Compass trims as well as the FWD-equipped Limited is a VVT 2.4-liter I4 engine that’s again managed by the standard 5-speed manual transmission in the Sport 4WD, while the CVT remains standard in all other trims. Once again, the 4WD-toting Sport with the 2.4-liter four-banger gains the CVT with the available Quick Order Package 24A. Matched with either transmission, this up-powered I4 throws out 172 hp at 6,000 rpm and 165 lb-ft of torque at 4,400 rpm, and towing remains maxed out at 2,000 pounds with the proper equipment. Finally, mileage runs from a perfectly acceptable 23/28 in FWD trims to a dismal 20/23 in 4WD-toting trims. Finally, the CVT has been given a slight overhaul this year, resulting in improved acceleration and deceleration, as well as lower engine revs and heightened sensitivity in the gas pedal. Testing saw a 2.4-liter I4-equipped Compass with the CVT plod from 0-60 in a lazy 10.3 seconds. Reviewers remain unimpressed with either I4’s power or with the CVT, despite its marginal tweaking. Most feel that the stick-shift that comes standard with the base Sport trim allows for a more satisfying drive, not to mention a sturdier torque and power management system. The raucous racket streaming from both engines at hard acceleration is also a downside noted by virtually all reviewers, though most concede that they quiet to at least a tolerable drone at highway speeds. Finally, reviewers remain impressed with the mileage figures gained from the 2.0-liter I4, though more than a few are understandably disappointed at the severe drop-off in mileage from those trims packing 4WD and the automatic (CVT) transmission. As a family-oriented light-duty crossover, the 2012 Compass lineup offers a front independent suspension with MacPherson front struts, a multi-link rear end and stabilizer bars front and rear. Reviewers note a fairly comfortable and relatively stable ride out of this standard touring chassis, and most opine that smaller bumps are well absorbed, though several complain that some float and jiggle present themselves when the Compass encounters surface anomalies at highway speeds. Sport and Latitude trims, meanwhile, ride on standard 17-inch alloy wheels, while the top-shelf Limited rolls on 18-inch alloy wheels. Additionally all trims once again mount standard all-season tires. Though most reviewers laud the generally accurate steering feel of this compact ute, many find the Compass wandering a bit in windy conditions. Moderate body lean in corners also disappoints a number of reviewers, as does the large turning radius that makes close-quarter maneuvering a bit of a challenge. Reviewers again remain impressed with the surprising all-terrain capability demonstrated by the available Freedom Drive II Off-Road Group. Finally, brake tests of a 4WD-equipped Compass found it coming to a stop from 60 mph in a respectable 120 feet. 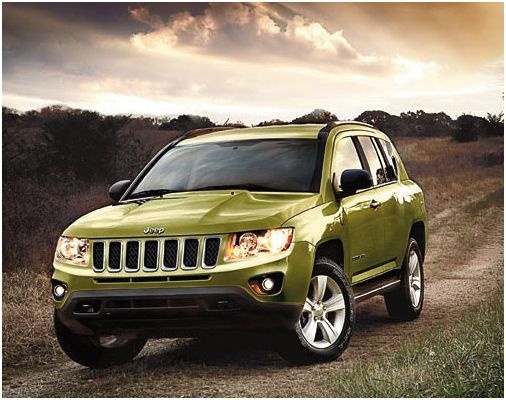 Hardly a luxury automobile, the 2012 Jeep Compass lineup nevertheless boasts enough creature comforts to keep the average commuter or mall-hopper satisfied. The base Sport trim, for example, boasts a roof rack and heated power-adjustable mirrors outside, while premium cloth upholstery, split-folding rear seatbacks, remote power door locks, power windows and cruise control, with steering-wheel-mounted controls, grace the inside. Tilt-wheel steering, air conditioning, and front and rear floor mats come standard in this entry-level trim, as does an MP3-capable single-CD player with 4 speakers and an auxiliary MP3 input. The midlevel Latitude trim, meanwhile, throws in standard heated front seats, a fold-flat front passenger seatback, reclining rear seats and a leather-wrapped steering wheel mounting audio and cruise controls. Finally, the flagship Compass Limited throws in a 6-way power-adjustable driver’s seat, leather upholstery, a trip computer, a universal remote garage door opener, auto climate control and simulated alloy door and dashboard trim accents. 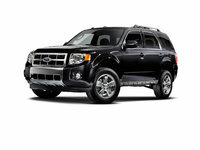 Additionally, this top-end trim is delivered with a standard 6-CD/DVD player with 4 speakers and satellite radio. Options for the base Sport include a number of items found standard aboard the higher trims, while lower trims remain eligible for Chrysler’s touted UConnect voice-command multimedia system. The Latitude and Limited trims can be delivered with the available Sun and Sound Package, boasting a power sunroof, satellite radio and 9 Boston Acoustics premium speakers, including a pair of fold-down speakers in the liftgate. Additionally, the Latitude is also eligible for the Altitude Package with 18-inch alloy wheels and performance tires, and both higher trims can be delivered with the available Media Center 430 with dashboard-mounted 6.5-inch display and 40GB of music storage. Furthermore, Limited trims can be equipped with an optional navigation suite with real time traffic info added to the Media Center 430 Package. Finally, the Latitude is offered with an available Security and Cargo Convenience Group that boasts an auto-dimming rear-view mirror, universal remote garage door opener, soft tonneau cargo cover and a vehicle information center. A trailer-towing package, as well as performance or all-terrain tires, remain standalone options, while the Freedom Drive II Off-Road Group, with a beefed-up suspension, added powertrain cooling and low-range 4WD gearing can be delivered with any 4WD Compass trim. Reviewers, by and large, find the Compass to offer a welcoming and decently wrought cabin with easy-to-read gauges, simple and straightforward controls, nicely textured interior plastics, plenty of soft surfaces, and surprisingly upscale materials and workmanship. Many reviewers do, however, have a problem with cargo space that’s not up to that of the competition, cramped rear seating and some challenged sightlines to front corners and the rear due to thick roof pillars and intrusive rear headrests. A number of reviewers bewail the lack of an available rear-view camera which might alleviate at least some of the problem. 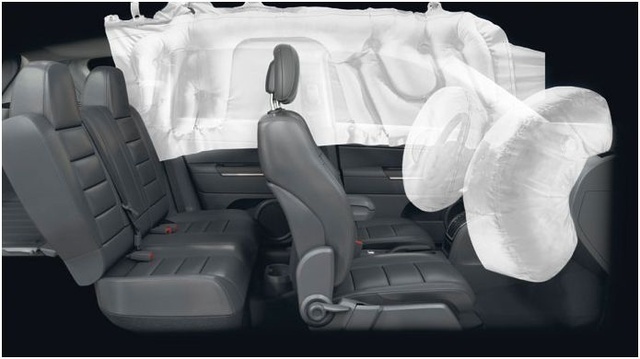 Notable standard safety equipment aboard all 2012 Compass trims includes 4-wheel (front disc, rear drum) antilock brakes (ABS) with electronic brakeforce distribution and emergency braking assist, traction and stability control, front and rear head airbags, and front head restraint whiplash protection. Front fog/driving lights also come standard across the lineup, while supplemental front side-mounted airbags are optional for each trim. The Latitude and Limited trims can each be delivered with a remote antitheft alarm, and the Limited is additionally eligible for available daytime running lights. The National Highway Transportation Safety Administration (NHTSA) has tested only roof strength for the 2012 Compass lineup and gives it a second-best 4-star rating. The Insurance Institute for Highway Safety (IIHS), meanwhile, has no safety data for this compact ute. Owners of Jeep’s 2012 Compass compact sport ute are far more forgiving of its faults than most reviewers. 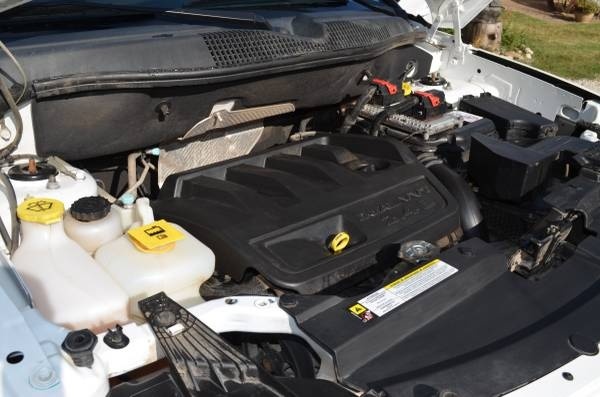 However, many owners agree with reviewers on the lack of power in either I4 powerplant and that the 2.4-liter four-banger could be a bit more fuel-efficient when matched with the CVT and toting 4WD. Rear visibility is another area where owners agree with reviewers that improvements could be made, especially with the availability of a rear-view camera. Cramped second-row seating, narrow front seats, noisy powerplants and the lack of a full-size spare tire, finally, are all further owner concerns. On the positive side, most owners praise this little crossover’s value, noting a number of standard features in higher trims that don’t often come with such a budget-priced mini-ute. 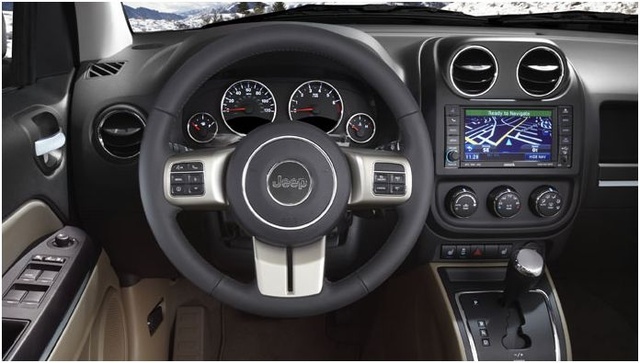 Others laud the rugged Jeep look and the fact that it’s manufactured in the U.S. Additionally, towing capabilities, though not on par with some rivals, still impress a few Compass owners, while the rear-folding seatbacks that actually fold flat and the pleasantly appointed cabin do their bit for owner satisfaction. 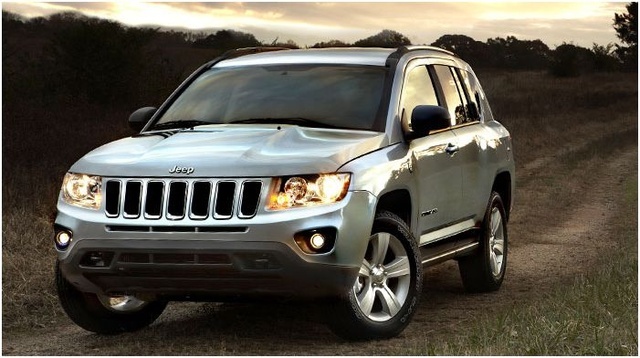 What's your take on the 2012 Jeep Compass? 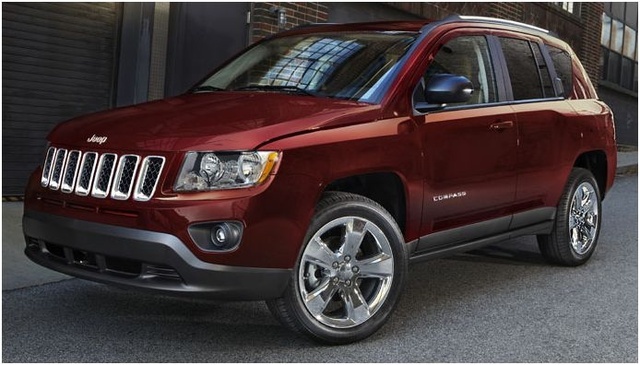 Have you driven a 2012 Jeep Compass? My husband has put ATF +4 fluid into our jeep. It is a CVTtransmission. Is this ok? .